This combine of designer earrings has been titled just like the open wings of a peacock. 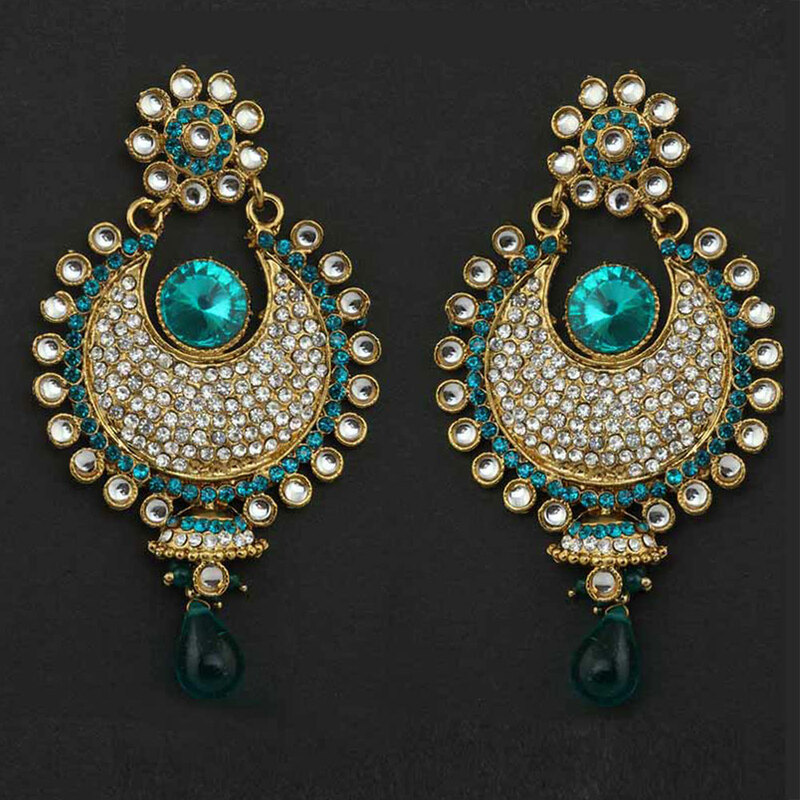 This pair of designer earrings has been styled like the open wings of a peacock. The green stone eye in the centre is surrounded by Read More..dazzling white stone work, which in turn is bordered green and white stone work. Completing the look is the green teardrop hanging attached at the base. Show Less..